Wow! this is becoming a habit...LOL!!! Thank you so much for this Freebie. I want to let you know that I posted a link to your blog in Creative Busy Hands Scrapbook Freebies Search List, under the Page 4 post on Jul. 12, 2009. Thanks again. Can't ever have too many overlays. Thanks so much for sharing this one! Great overlay - thanks much for sharing! Wow! Thank you Leaonna!! I'm downloading it now. 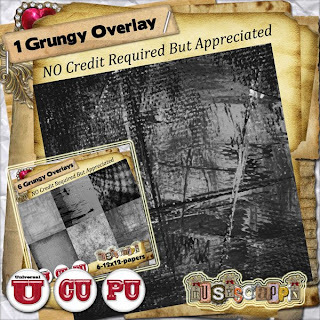 This grungy overlay is fantastic! Thank you so much, I can't wait to use it in my projects!